At Pahrump Bail Bonds we offer our customers with a 100 % money back guarantee on any Bail Bond written by our company in the event the Defendant is not released from custody on the Bail Bond executed for his or her release. For instance, you come into our office and buy a bail bond for the amount of $50,000.00 dollars and pay the premium of 15% ( $7500.00) and the defendant is not released on this bond for said case, we at Pahrump Bail Bonds will refund your $ 7500.00 dollars in full. This should be standard practice with all Bail Bond Companies, but we have heard stories that there are companies that have kept premium and the defendant was never released form custody. Posting a bail bond (Surety Bond) is a contract between the co-signer, the defendant, and the bail bondsman for the release of the defendant from jail. The bail bondsman guarantees the defendant will appear in court after release from the jail to all court dates related to this case. For a person to post bail, he or she either must pledge collateral to the bail bondsman or co-sign the contracts for the defendant. The fee to post a bail bond in the State of Nevada is 15% of the total bail amount as required by state law (NRS 697.300) Once the contracts are filled out and signed, the premium for bail bond is paid which is Non-Refundable, the bail bond company will deliver a bail bond for the full amount to the county jail in which the defendant is incarcerated for his release. Depending on the facility in which he or she is located at will determine the release time. Times vary from 2-10 hours. We at Pahrump Bail Bonds will do everything possible to speed up the process. If the defendant makes all his court dates as required, one of two things must happen, the case is dismissed by the court or the court imposes a sentence for the defendant. A sentence may include probation, jail time, fees, court costs, restitution, etc. When one of these two this occur the bail bond is exonerated by the court. At this point the co-signer is no longer responsible for the bail bond posted on behalf of the defendant as well as the bail bondsman to the court. Pahrump Bail Bonds will walk you through the whole process from start to finish. If you need bail, please fill out the form above. We'll respond as soon as possible, often times within just minutes. You are dealing with a troubling time, your friend or loved one is in jail and their freedom is a priority. Lean on a fast, friendly, and knowledgable bail bond agency. Call Pahrump Bail Bonds Now! How can I pay the premium? It may be paid by cash, credit-debit card, or cashiers check. Do I have to put up collateral for the bail bond? The Bonding either has to help the defendant get back on calendar before the court, locate the defendant and put him back in custody, or pay full amount of the bond to the court. As the co-signer, what am I responsible for? Being the co-signer means you are responsible for the full amount of the bond until the bail bond is exonerated by the courts. How long before I can post bail? As soon as the jail has bail bond information to provide to the Bonding Company. "I can personally vouch for this company when it comes integrity and how they do business. If you need bail call Pahrump Bail Bonds!" 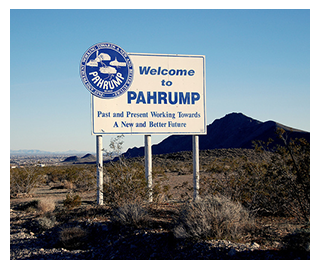 "I can say Pahrump Bail Bonds is the most caring company I have dealt with in Pahrump. These people are well informed about the bail bond process. I recommend them to anyone in Pahrump." "I was visiting a old family friend when I got arrested for an outstanding warrant from 15 years ago. I called Pahrump Bail Bonds and they were able to help me resolve this issue quickly."